IRISH ACTRESS KATIE McGrath will join Chris Pratt and Bryce Dallas Howard in the new Jurassic Park film. The Wicklow native – who made her name in BBC One’s Merlin – is one of three actresses who have been added to the cast this week, The Hollywood Reporter reveals. McGrath, Arrested Development star Judy Greer and Orange Is The New Black’s Lauren Lapkus are the first actresses to join the project since Bryce Dallas Howard was revealed to be one of the film’s leads. McGrath most recently appeared alongside Jonathan Rhys Meyers and Victoria Smurfit in NBC’s Dracula but Jurassic World will be her first big screen blockbuster. Details of her role have yet to be revealed. Jurassic World will be directed by Colin Trevorrow, who confirmed that the film is most definitely not a reboot of the 1993 Steven Spielberg classic. Jurassic World is currently scheduled to hit Irish cinemas on June 12th 2015. Email “Irish actress Katie McGrath has been cast in the new Jurassic Park film”. 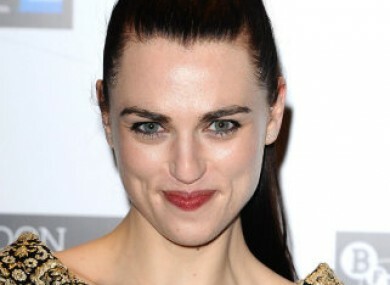 Feedback on “Irish actress Katie McGrath has been cast in the new Jurassic Park film”.